Covers are obvious a thing that catches the reader’s attention. This cover did it because of its uncommon way: where we have mostly covers with guys (in several states of being dressed or undressed) in the MM book community this book has a property, a magnificend house, as cover motif which is not often used. 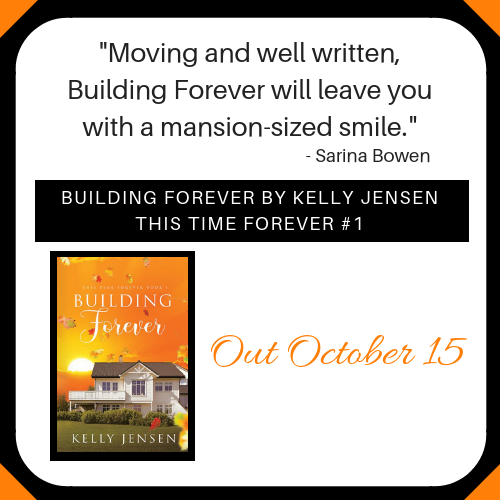 The way how vibrant the cover is – the nice orange tone and the swirling leaves, the green lawn in front of the beautiful building with the nice, white frontage, catched my attention right from the start. No wonder the book piqued my interest and even more when I read the blurb. 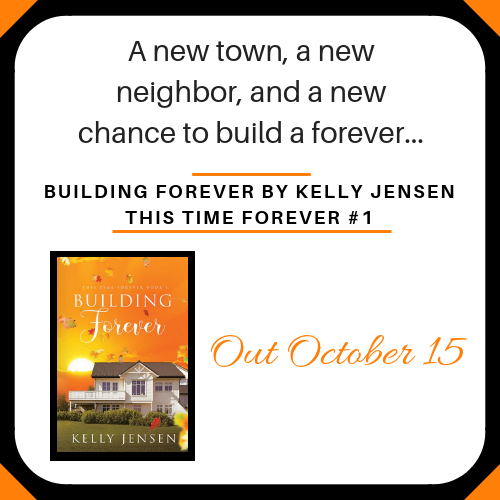 For me, this is the first book by the author and I can see Kelly Jensen is very good in executing amazing, sometimes hilarious characters and giving them charme and their unique traits. The reader is shown what kind of character Charlie is; he is presented as a sunny, vibrant guy, full of life and laughter. He’s charming and slightly hilarious. I had an bright smile – right instantly – when I read the opening scene. But within the book it becomes clear Charlie isn’t always the easy-going guy; he’s a father of a teenage daughter who he loves to the moon and back; as it’s called in the book, his life rotates around his daughter, she’s his reason he’s getting up in the morning and who he has on mind before he fells asleep. Being a widower, having a great loss of his beloved wife – and for Olivia her mother – it’s not easy to keep the parenting on point. 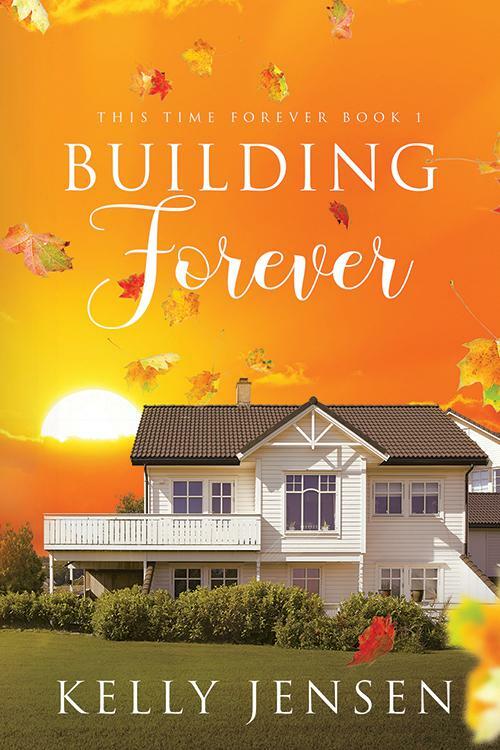 I loved how the author was able to equally displaying the ups and downs in Charlie’s life; not everything is beautiful and easy, in fact in Charlie’s life there’s a lots of stuff going on, his upcoming and deepening feelings for his adorable new neighbour isn’t someting he had on his plate at all! Simon and Charlie have a great chemistry and I really loved how they become a unit. The book has its slightly dramatic parts; one was indicated in the blurb and had more impact to Simon, the other was not necessarily a surprise since you’ve suspected it but the way Charlie reacted to it was… It broke your heart and on a fundamental level I could relate to him so well; Charlie is faced a lots of things throughout the book and it’s only natural he hasn’t always the same strength. Charlie needed to think his idea through, and that meant putting on his running shoes. His calves complained as he stretched, and his lower back tried to convince him that couch surfing was a better form of exercise. Never mind the fact that Sunday’s post-pancake nap-a-thon was probably responsible for every twinge back there. And pictured Simon from next door. Damn, if Justin looked like that, he and his daughter were both in trouble. There is a giveaway to win one signed paperback copy of Block and Strike by Kelly Jensen. 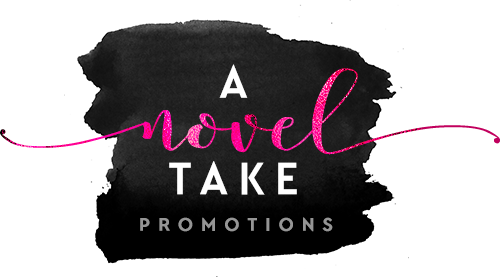 Release blitz and review tour hosted by/through A Novel Take PR.